Numerous studies show that job stress is far and away the major source of stress among adults and that it has escalated progressively over the past few decades. Increased levels of job stress as assessed by the perception of having little control but lots of demands have been demonstrated to be associated with increased rates of heart attack, hypertension, and other disorders. Often, it is not the job but the person-environment fit that matters. Some individuals thrive in the time urgent pressure cooker of life in the fast lane, having to perform several duties at the same time and a list of things to do that would overwhelm most of us — provided they perceive that they are in control. They would be severely stressed by dull, dead end assembly line work enjoyed by others who shun responsibility and simply want to perform a task that is well within their capabilities. For instance, the stress that a policeman or high school teacher working in a city experience is quite different than those experienced by their counterparts in a rural area. Moreover, stress levels can vary widely even in identical situations for different reasons. 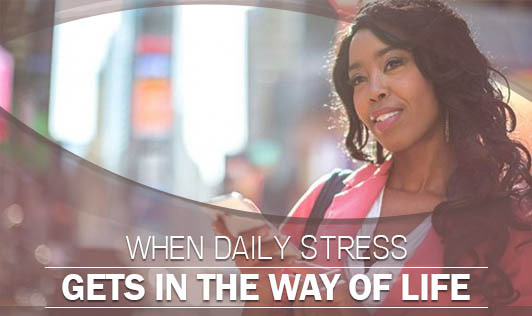 Stress is a highly personalized phenomenon and the severity of job stress depends on the magnitude of the demands that are being made and the individual’s sense of control or decision-making latitude he or she has in dealing with them.